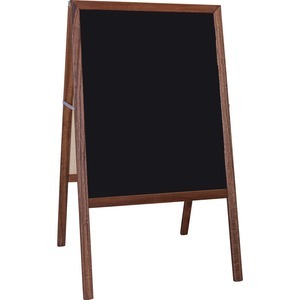 Signage easel features a chalkboard surface that erases cleanly for a quick, simple way to update your announcements, sales, specials, menus and more. Foldable construction sits flat for fast, space-saving storage. Plus, its hardwood construction creates a sleek, stylish appearance without distracting readers from your message.